Bathroom | Christmas All Year ~ It's Ever Christmas! This is one of the most gorgeous. 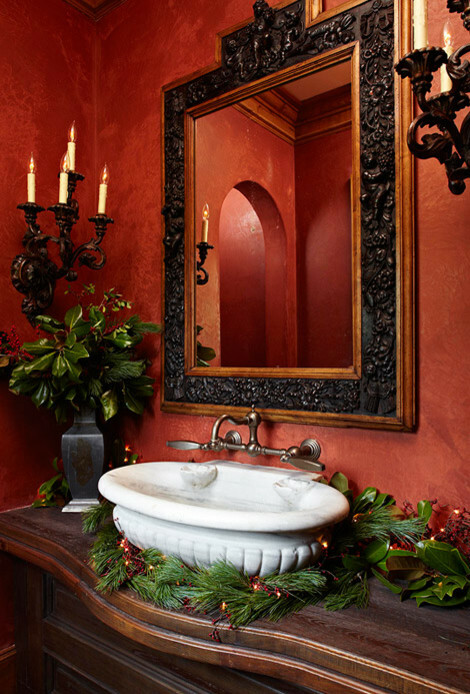 luxurious powder rooms I’ve seen decorated for Christmas. 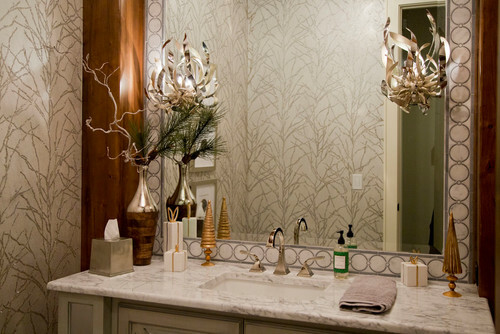 Placing the beautiful garland around that exquisite sink is a unique and elegant touch/accent. 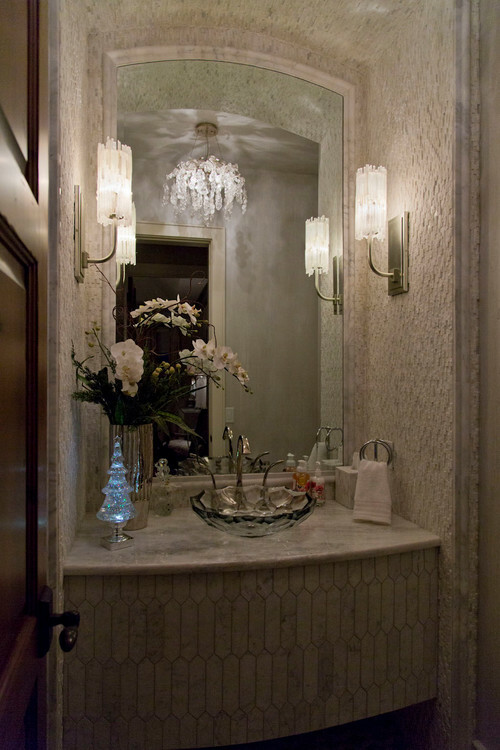 It’s so luxe I plan to mimic this look in my powder room!